Adjustable profile grabs with very large spanning range. 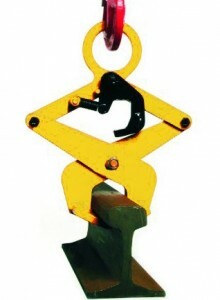 The respective desired grab range and centre of gravity surface can be set using socket pins. Low construction height. 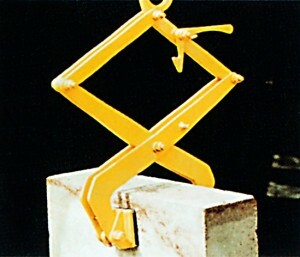 Design with keep-open lever. 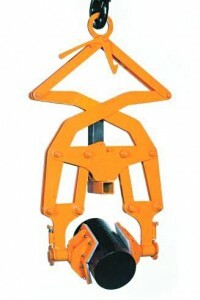 The grab jaws are equipped with a protective coating. Grab jaws with protective coating. 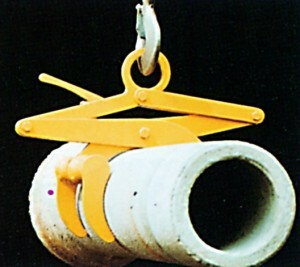 Especially suitable for transporting goods made from steel, concrete, stone, marble, wood and other solid materials. Note: The transport goods must be free from oil and grease. Designed for a friction rate µ > 0.75. For a smaller friction rate, the pressing force of the grabs must be increased with constructive changes. Please enquire. 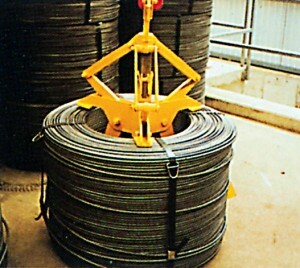 Interior grabs with parallel jaw lead for wire, pipe or sheet coils. Please state intented use so the grab jaws can be adjusted. 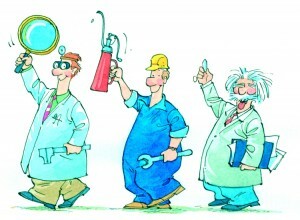 Coils must be bandaged. Suitable for standing up, turning or rotating. 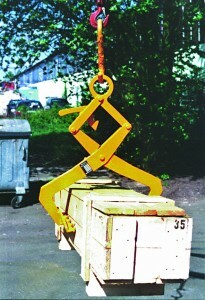 The jaw graps are stored swivelling with 90° lock. Single grab which presses into the wood or bale and securely holds the goods. It is especially designed for boxes, planks, special bales of all kind. With especially large-surface and thin grab jaws with profile rubber coating ensuring large pressure distribution. 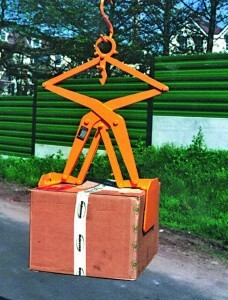 Especially suitable for cardboard boxes standing very close to one another. 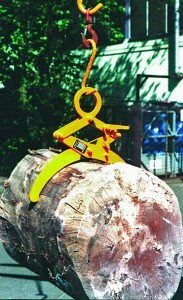 With great grab width and small exterior dimensions to transport logs of wood. 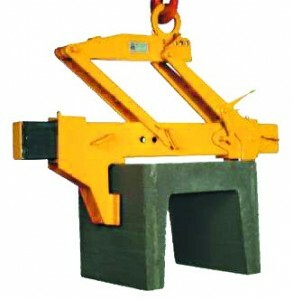 From a carrying capacity of 2.5 t on, the grab peaks are exchangable as replacement parts. To transport vignol rails of the types S and UIC as well as crane rails; especially stable design for rails with asymetrical profile available on request.